The Isle of Man International has been known over the last few years for being one of the strongest open chess tournaments of the year. 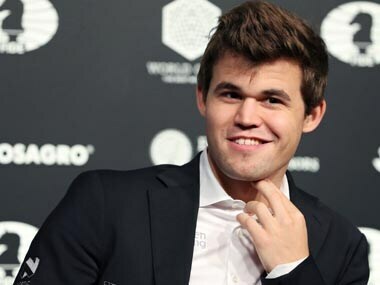 Even though the top four players on the world rankings have chosen the event a miss, it boasts of a stellar field that includes all of the remaining six from the world’s top ten. 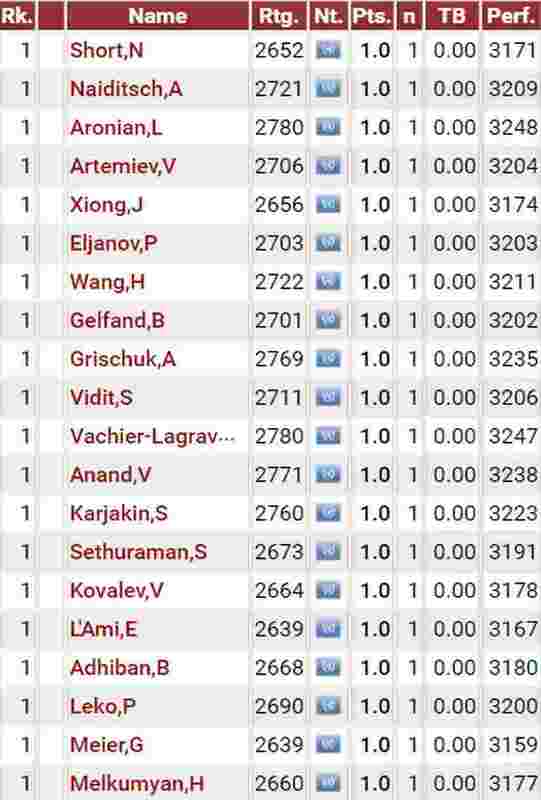 In fact, all of the top 20 seeds are rated above Elo 2700, making it the strongest open of the year. The nine-round Swiss league will be played in the Royal hall of Villa Marina in Douglas. The rate of play will be 100 minutes for 40 moves, followed by 50 minutes for 20 moves, then 15 minutes for the remaining moves, with 30 seconds added per move from the start. On the line is a hefty £133,000 prize purse, of which the title winner’s share will be £50,000. One of the biggest changes in this year’s edition is that the organisers have scrapped the randomised pairings for the opening round and have gone back to the traditional Swiss manager pairings. This, of course, meant that, unlike last year, the second and the third seeds would not face each other in the opening round itself. But the inaugural round did witness some very interesting matchups. 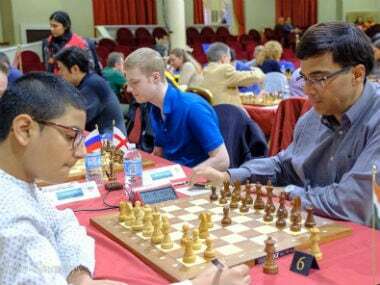 On the sixth board, Grandmaster (GM) Viswanathan Anand was to face his 13-year-old compatriot, International Master (IM) Raunak Sadhwani. 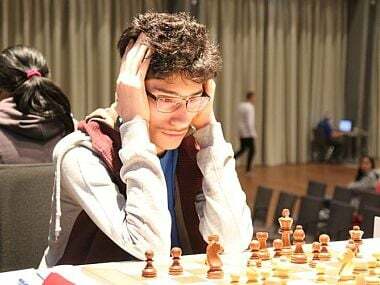 Raunak has played fearlessly against some very strong Grandmasters in the past. In this game, too, Sadhwani played ruthlessly to reach a winning position in the middle game. But he was playing one of his idols after all and nerves did play a role in the game. On his 18th move, Anand dived into danger with his queen and grabbed a pawn, but soon began to repent his decision. “I think, his position was just very pleasant out of the opening. I didn’t like it, so I went for this suicidal 18...Qg4. But I simply missed that 20.Ra7 is so strong,” Anand told in his post-game interview. Sadhwani, however, failed to find the most critical continuation and allowed his opponent to slowly make his way out of the dungeon. Equality had been restored by the 30th move and eventually Anand managed to pull out a win. Anand also pointed out after the game that Sadhwani is “ridiculously underrated” and said that it was an unpleasant feeling for him to see the pairings. “Okay, now I am relieved to have won,” Anand said with a sigh, in conclusion. Krishna simply took the pawn and blockaded the file in question with his bishop. Wesley had taken some risk and, consequently, had ended up in a worse position. Around the 35th move, Krishna was merely inches away from slaying one of the top Grandmasters of the world, but So generated enough complications in the second time control to wriggle out with a draw. Vladimir Kramnik also had to walk a tightrope in his game against GM Sundarajam Kidambi. Kidambi got a decent edge out of an English opening and pressed on the queenside with the white pieces. While he had the better position for the most part, some misplay in the endgame left Kidambi in an equal position by the time the first time control was reached. Kramnik then began to press for an edge but once the queens were exchanged, an endgame with opposite coloured bishops was reached. 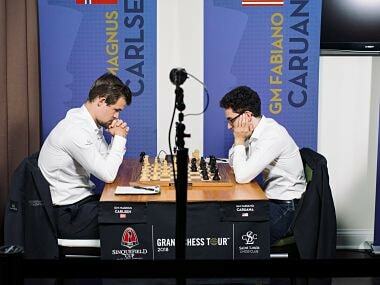 Kramnik had an extra pawn here. He tried pushing for a win for about 20 more moves, but had to concede half a point in the end.